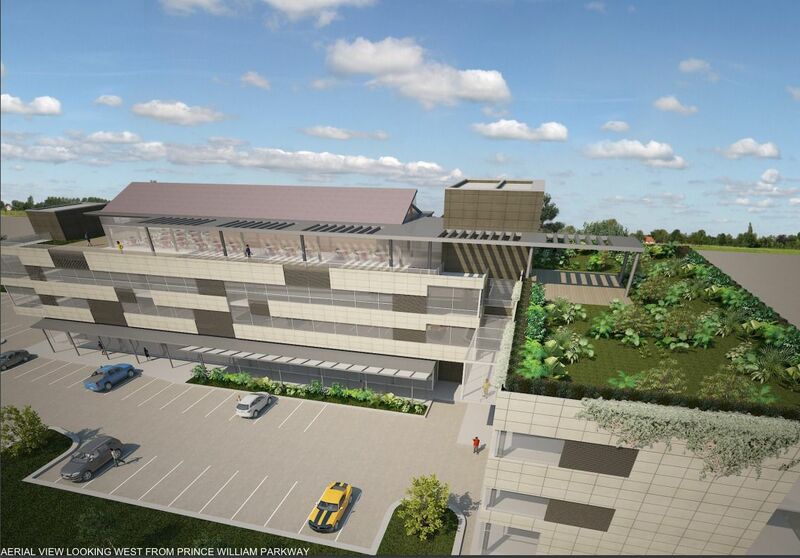 This proposal is for an office/retail building at the corner of Smoketown Road and Prince William Parkway. 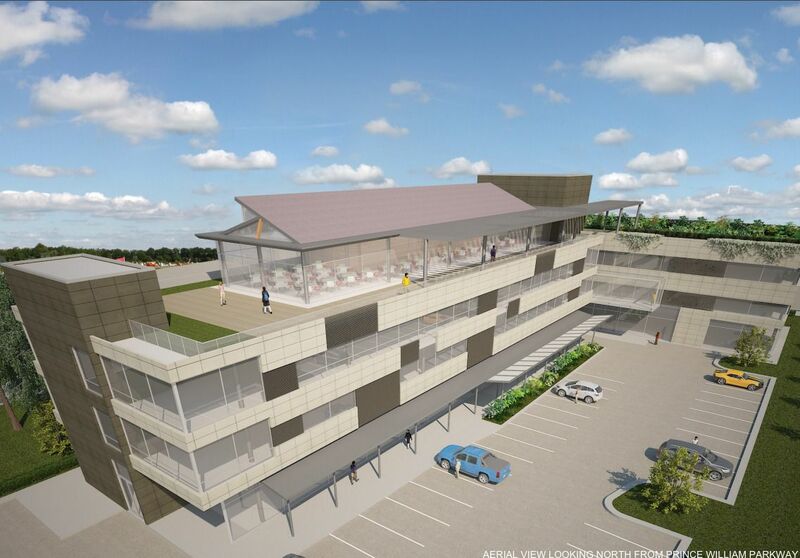 The roof area would be reserved for a garden area and a restaurant and/or catering facility. Some of the parking would be under the building. Access would be provided from Prince William Parkway and Golansky Blvd.